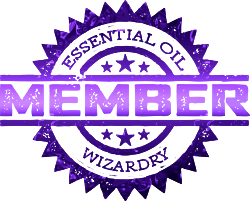 What is the EOW Monthly Alchemy Subscription? The Best Exploration into the World of Essential Oils EVER! 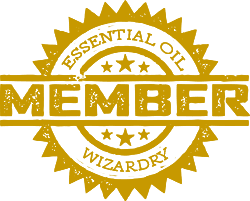 An EOW Subscription for people committed to learning and experimenting with essential oils. Enthusiasts & Aficionados ~ Dive deep & inspire into the AROMATIC world of plants! 25% Discount on Wizard Immersion Camps, EOW Playshops & Transformational Botanical Retreats. We will share our many of our in-house extractions with our Alchemy Club Members – included with your subscription. Some will be exclusive extracts for only our monthly members! Priority Volunteer – Be part of the EOW Team at a Festival / Event that we participate in! Watch Social Media for future events EOW participates in nearest you. Internship Opportunities in Ashland ~ Membership@EssentialOilWizardry.com! Write about your ideal vision & share with us your gifts, interests & intentions 🙂 Perhaps you can come share time/energy with us at the Lab in Ashland, Oregon! Alchemy Club Members receive a priority in their requests! 100% Satisfaction Guaranteed: We trust you will be quite happy with your artisan-crafted products and invite you to contact us if for any reason you are not completely thrilled. We suggest exploring 3 months to experience a wide array from practical to esoteric! Love OUR Oils? Want To Share Our Passion? Interested in sharing our products locally with your friends/family/community? Are you a wellness practitioner, shop owner or medical professional? 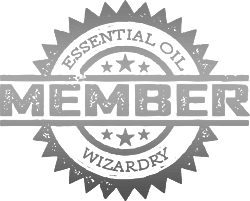 Do Essential Oil Wizardry products align with your offering to the world? Would you love to see our products in a local shop? We offer a 10% referral for aligning Essential Oil Wizardry with new resonant Botanical Ambassadors, Wellness Clinics & Holistic Boutiques! Coupon Code will be emailed separately after your membership purchase. Valid during active membership, for unlimited usage. Using your discount to share with friends encouraged! Your Coupon Code may stack with other EOW promotions. Enjoy sharing in Alchemy Club pricing! Please keep your Specialized Coupon Code private. You are invited to order with & for your friends / family! Been a Member for One Year? Save 33% off any EOW Botanical Retreat or Event for you / your friends! Been a Member for three Years? Join us during an Ultrasonic Extraction process in Ashland, Oregon! Please select International Shipping (+$20/month) when submitting your monthly membership order or your order will be refunded. Exquisite Botanical Perfume – To Be Inspired!